The boat is in good condition and has been maintained regularly. 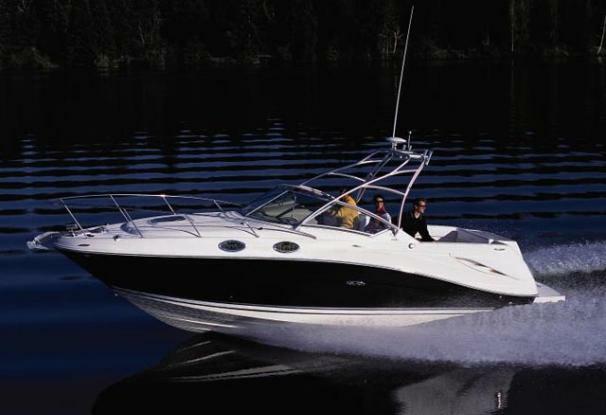 The seller has used the boat gently and enjoyed just being out on the water. This is one of the reasons the boat and engine has very low hours. Stock #164016 Good Condition. Comfortable and Versatile. ready for the water. If you are in the market for an express cruiser, look no further than this 2008 Sea Ray 270 Amberjack, priced right at $59,000 (offers encouraged). 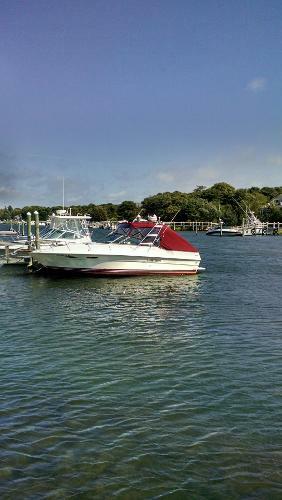 This boat is located in Huntington, New York and is in good condition. She is also equipped with a Mercruiser engine that has only 270 hours. Reason for selling is looking for a different type of boating!. 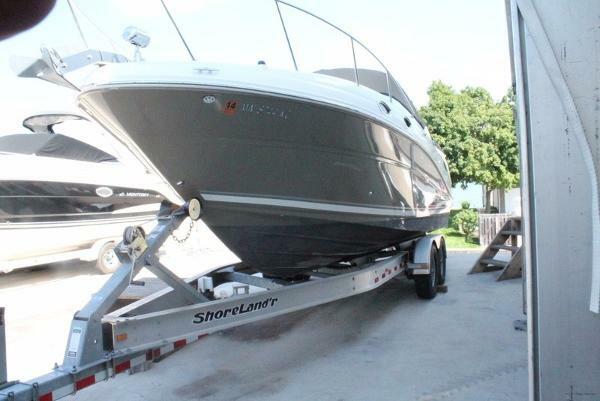 This 2005 Sea Ray 270 Amberjack is in great condition with a new 383 Mercruiser Stroker motor. The hull has a high gloss shine and the interior is excellent shape. All cushions have no rips or tears.All equipment appears to be operational Stock #175690 2005 SEA RAY 270 AMBERJACK WITH A BRAND NEW 383 STROKER If you are in the market for an express cruiser, look no further than this 2005 Sea Ray 270 amberjack, priced right at $66,000 (offers encouraged). 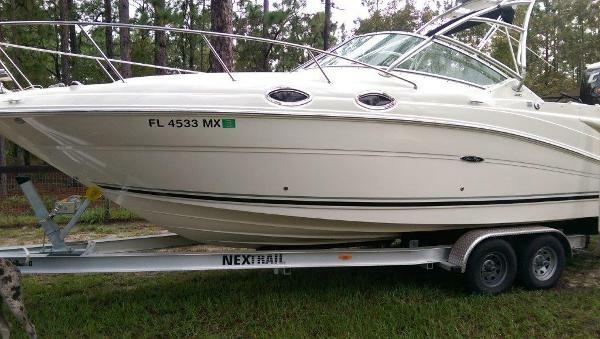 This boat is located in Sorrento, Florida and is in great condition. She is also equipped with a Mercruiser engine that has only 15 hours. Reason for selling is too many toys. 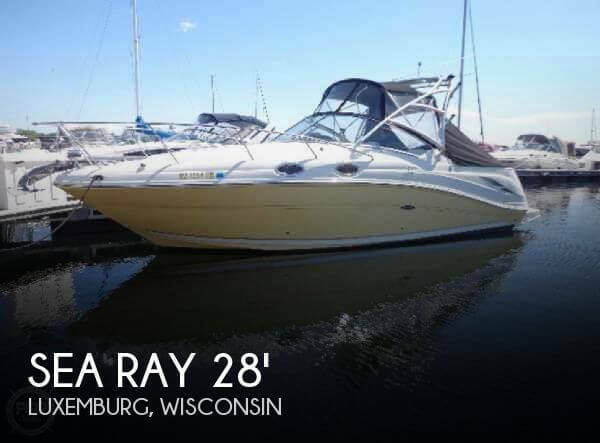 Current owner (2nd Owner) say's his 2005 SEA RAY 270 AMBERJACK is in "Very Good Overall Condition" As received from the current owner; Always serviced annually or as needed Hull could use a compound rub out; yellow is a bit faded from the sun Has only been used in FRESHWATER...!! ***I have not inspected this vessel in person. Pictures and details have been provided by the owner, please do not hesitate to contact me with any specific questions, to submit an offer, or schedule a showing*** Stock #143997 MERCRUISER 6.2 MPI 320 HP...!! MERCRUISER BRAVO THREE I/O WITH STAINLESS STEEL DUAL PROP...!! AIR CONDITIONING...!! 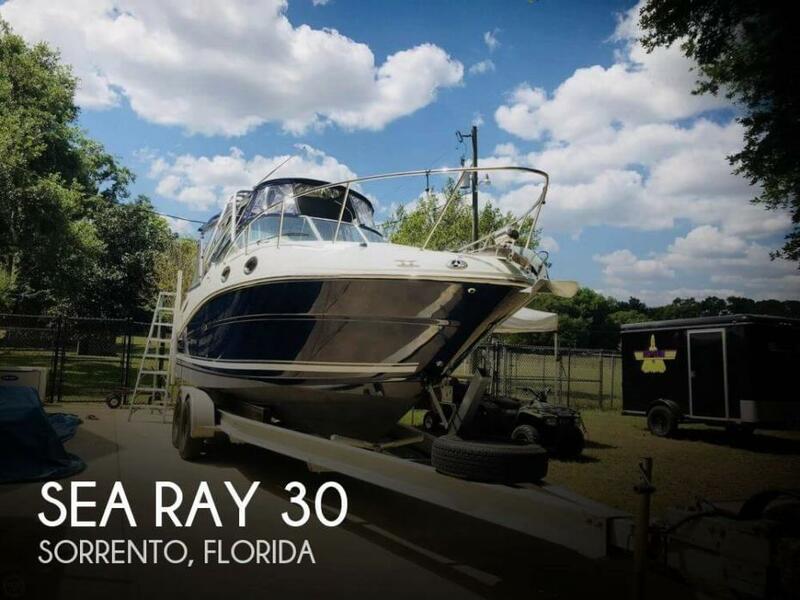 If you are in the market for an express cruiser, look no further than this 2005 Sea Ray 270 Amberjack, just reduced to $33,000 (offers encouraged). 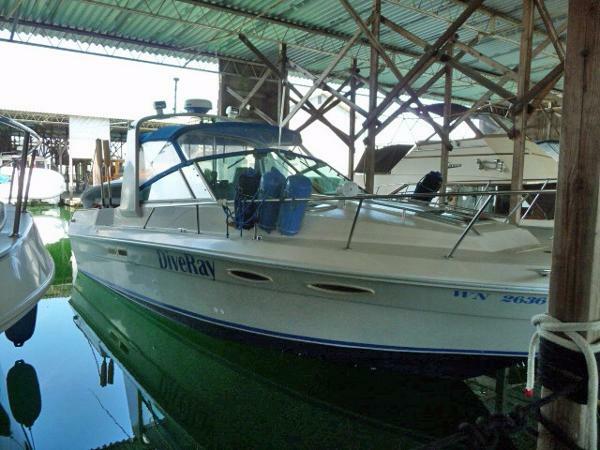 This boat is located in Luxemburg, Wisconsin and is in great condition. She is also equipped with a Mercruiser engine that has 700 hours. Reason for selling is no time to use. 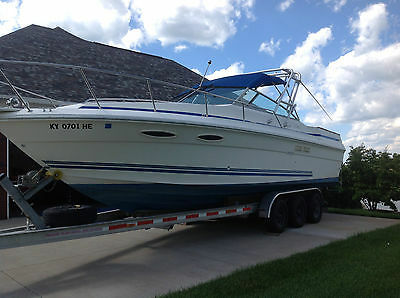 Current owner (3rd Owner) say's his 1987 SEA RAY 270 AMBERJACK is 'Very Good Overall Condition"..!! As received from the current owner; -Always serviced annually and maintained as needed -Does need valve cover gaskets -Always stored INSIDE during the off-season -MerCruiser engines run great -Fastest I have run is approximately 24 knots @ 4000 RPM's -Only premium Valvtech gasoline used -Has only been used in "FRESHWATER." ***I have not inspected this vessel in person. Pictures and details have been provided by the owner, please do not hesitate to contact me with any specific questions, to submit an offer, or schedule a showing*** Stock #149092 TWIN MERCRUISER 170 HP (each) WITH MERCRUISER ALPHA I/O's,,,!! A/C & HEAT...!! GPS..!! RADAR..!! AUTO-PILOT..!! ELECTRIC DOWNRIGGERS...!! If you are in the market for an express cruiser, look no further than this 1987 Sea Ray 270 Amberjack, just reduced to $15,900 (offers encouraged). 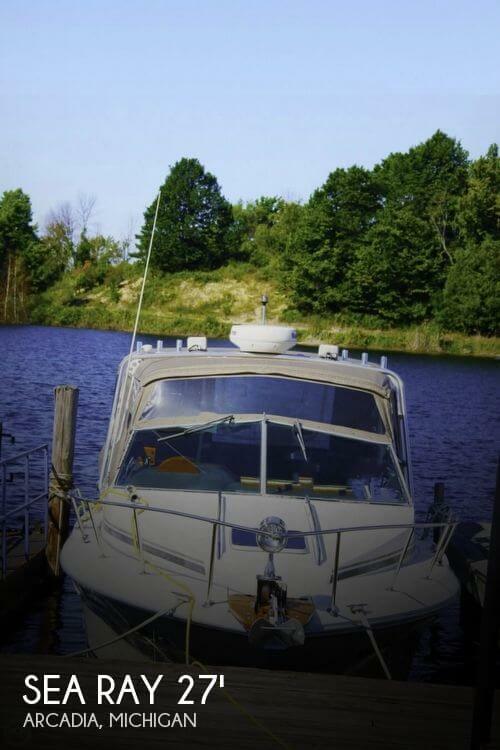 This boat is located in Arcadia, Michigan and is in great condition. She is also equipped with twin Mercruiser engines that have 990 hours. Reason for selling is not time to use. 2005 Sea Ray 270 Amberjack 2007 Sea Ray 270 Amberjack Extremely clean and ready to handle any size of water. Local used freshwater boat. 2005 Sea Ray 270 Amberjack This is a nice clean listing with lots of amenities. The 270 Amberjack offers the best of both worlds for sports-minded families, comfortable cruising plus an optional full-feature fishing package. The stylish cockpit includes versatile seating and built-in storage, while the spacious cabin below features a convenient galley and dinette, elegant V-berth and full-size head with vanity and with a new engine, windlass and canvas enclosure she is be ready for the season. 1987 Sea Ray 270 Amberjack This one is a real beauty, she has been maintained and restored with an open checkbook. Turn key in almost perfect condition. Twin NEW not rebuilt with receipts (2002), V8 260 Merc Cruiser inboard outboard engines Alpha 1 Gen 2 drives, w/ new exhaust manifolds & risers, new new gimble and gimbal bearings, new bellows, water pumps, new shift cables, enclosed head w/ new Riatan toilet & macerator, Small galley w/ fridge & stove, large v-berth, extra-large deck space for fishing or entertaining, full swim platform, aluminum Radar arch, new Garmin 54dv color fish finder-depth sounder w/ bronze through hull transducer, new vhf radio, new compass, Raymarine radar, stereo, shore power, battery charger, windlass w/ new rode splice & split roller , raw & fresh water wash-down, brand new $5k custom standup bimini top & windows w/ full canvas enclosure with receipts, new power steering system, many new parts, in beautiful condition. 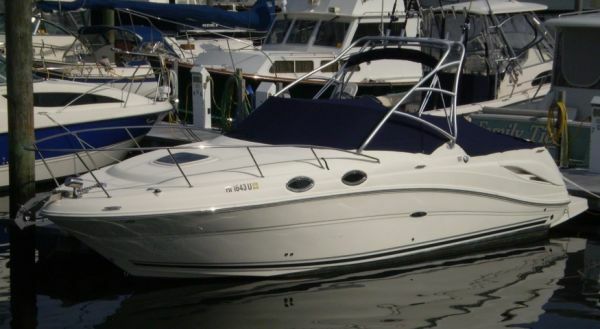 2006 Sea Ray 270 Amberjack 2006 powered by a 350 Mag MPI 300 HP. The Sea Ray 270 Amberjack offers the best of both worlds for sports-minded families-comfortable cruising plus an optional full-feature fishing package. The stylish cockpit includes versatile seating and built-in storage, while the spacious cabin below features a convenient galley and dinette, elegant V-berth and full-size head with vanity and shower. This is a highly sought after model. One of the most popular express fisherman ever built. Huge cockpit for fishing as well as entertaining. 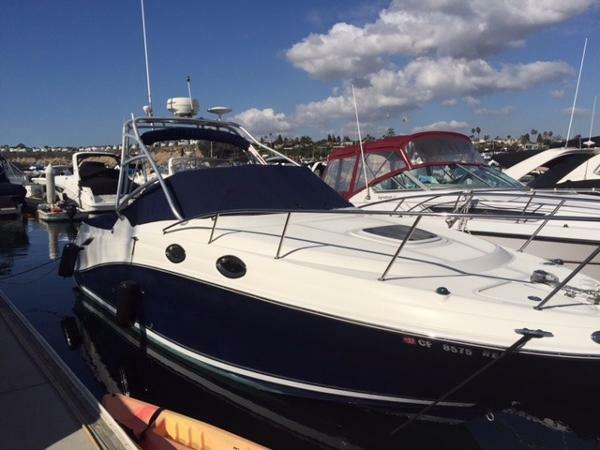 This boat is in good shape and clean and has been professionally maintained. The hull has anti-fouling paint that was done 3 years ago. The only reason for sale is I’m in a project that will last another 3 years and only got to use the boat once in 2016 with it only taking more of my time. If the boat isn’t in the water, it’s stored under cover. Please send me any questions or concerns, and we are close to water and can put boat in water for testing. Boat is located in Louisville, Kentucky Counter Rotating lower unit with 4 blade Stainless props (2015) Boots and Gimble Bearings (2015) Stainless Rail and cleats, Walk Thru Transom door off swim platform Swim Platform with Ladder Bow Pulpit with Lewmar Winless and Fortress Anchor New (2014) Complete Canvas Package All new (2016), Snap in Carpet Kit Radar Arch with Rocket Launchers Complete Gauge Kit, Built in Compass, Windshield Wipers VHF Radio (2014), Sitex GPS (2016), Lowrance HDS7 Locator / Plotter (2016) AM /FM /CD Stereo (2015), 3 Batteries with 3 bank built in charger (2015) 120 volt / 12-volt dockside power system 200 Gal. Fuel Capacity 12 / 110V Refrigerator Alcohol /Electric Stove, Marine Toilet with 30 Gal. Holding Tank 28 Gal. Fresh Water holding tank, Bennett Electric Trim Tabs (2016) All Aluminum Tri Axle Trailer with Disc brakes on 4 wheels, Tires are new and lights and brakes work great. I tow this boat at top speed on the roads to and from the coast. 2006 Sea Ray 270 Amberjack The Sea Ray 270 Amberjack offers the best of both worlds for sports-minded families-comfortable cruising plus an optional full-feature fishing package. The stylish cockpit includes versatile seating and built-in storage, while the spacious cabin below features a convenient galley and dinette, elegant V-berth and full-size head with vanity and shower. 2008 Sea Ray 270 Amberjack Sea Ray hit a home run when the reintroduced the 270 Amberjack. 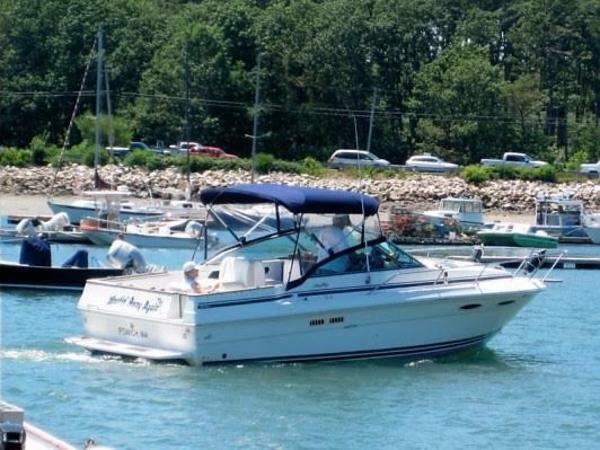 This boat is a great fit for an active family that likes to cruise as well as fish! With her 21 degree deadrise and solid fiberglass hull she offers a comfortable ride when the water gets a bit lumpy. 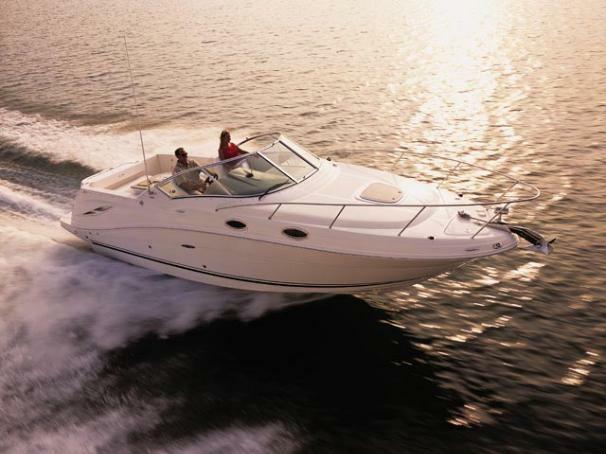 In 2008 Sea Ray added a full mid-cabin the Amberjack to make it even more family friendly. If you're not using the space to sleep it offers a ton of stowage. This particular AJ is equipped with the Fishing Package which includes an all aluminum arch with rocket launchers built in, a bait well and prep area as well as a washdown. The AJ is also equipped with a large integrated fish box. This 270 AJ also has Mercury Smart Craft and DTS (digital throttle and shift). This gives the captain the ability to adjust the trolling speed with just the touch of a couple of buttons. Attaching the DTS to the tried and true Bravo III outdrive gives wonderful maneuverability as well as a great hole shot. The open, one level cockpit makes fighting and boating fish a real pleasure. For comfort this boat includes an electric windlass, a full Bimini enclosure as well as a full aft Bimini to get out of the sun. She has air and heat, a full fiberglass head, walk through windshield as well as a fully equipped galley. There is fishing equipment available but will be negotiated separately.